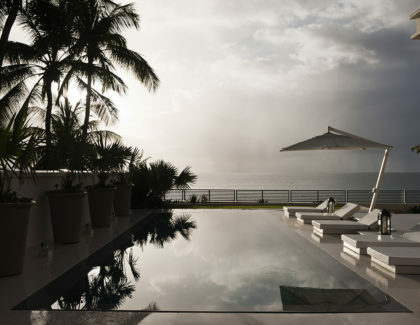 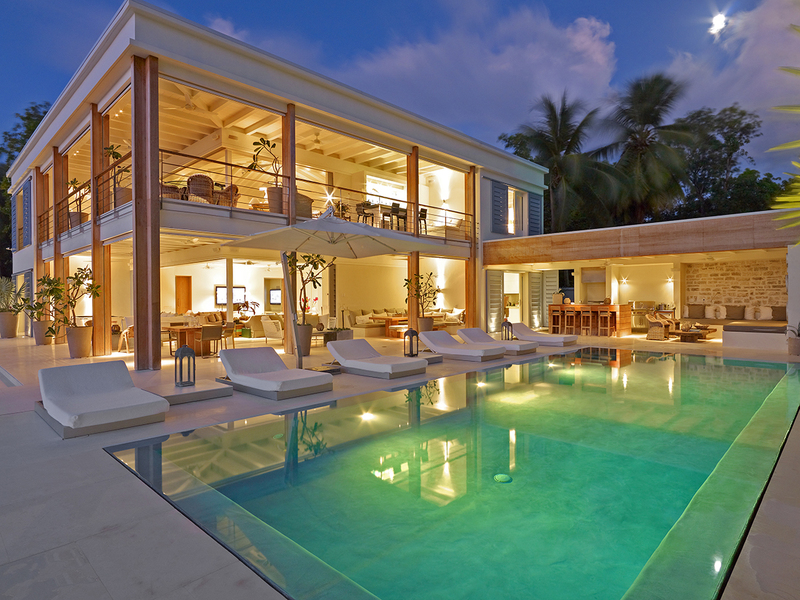 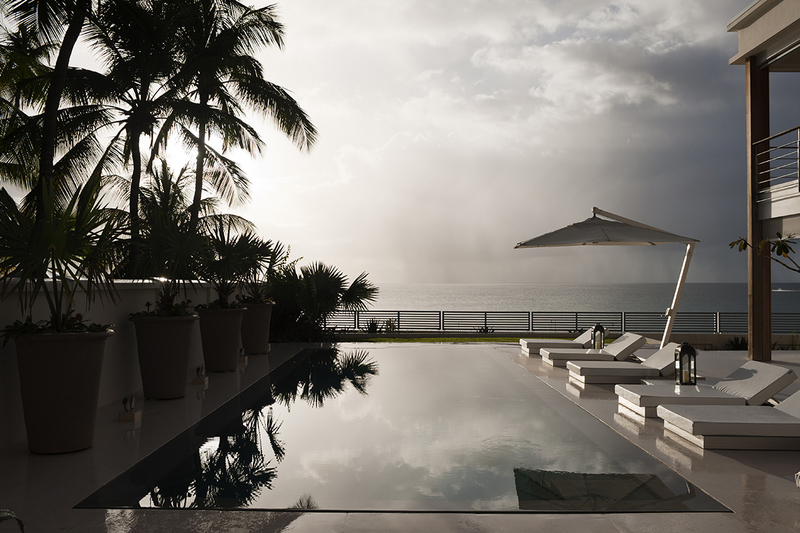 This quintessential luxury villa promises to fulfill your every dream. 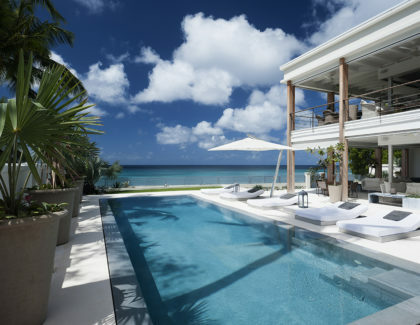 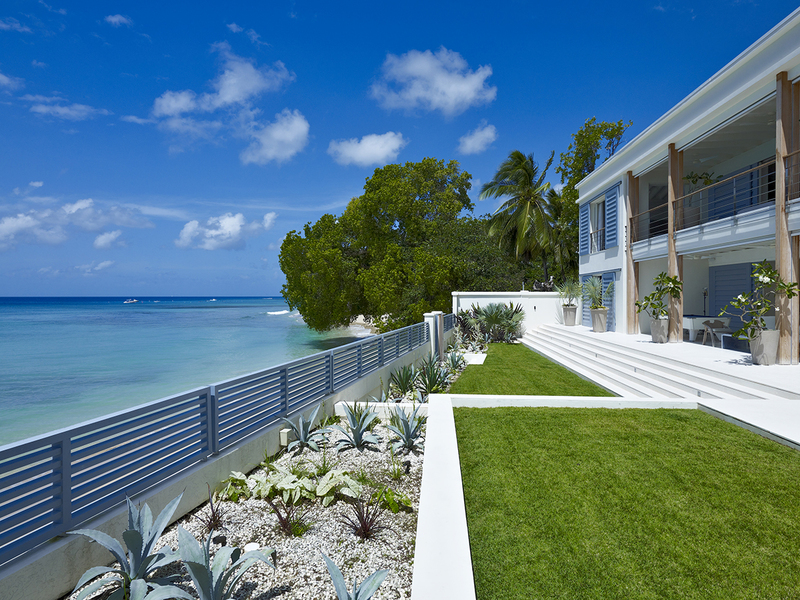 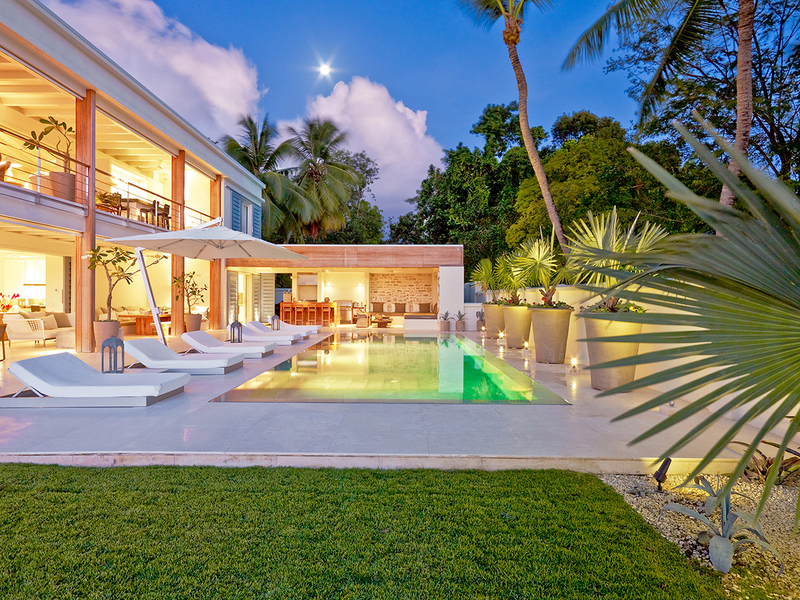 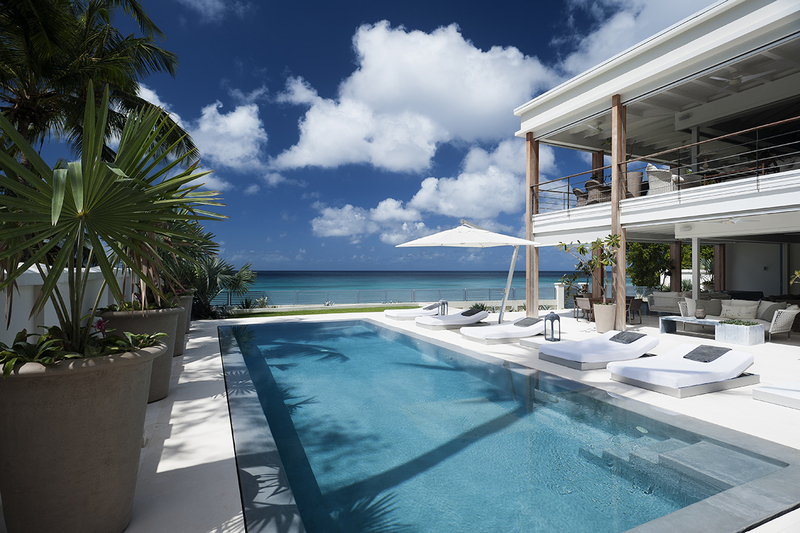 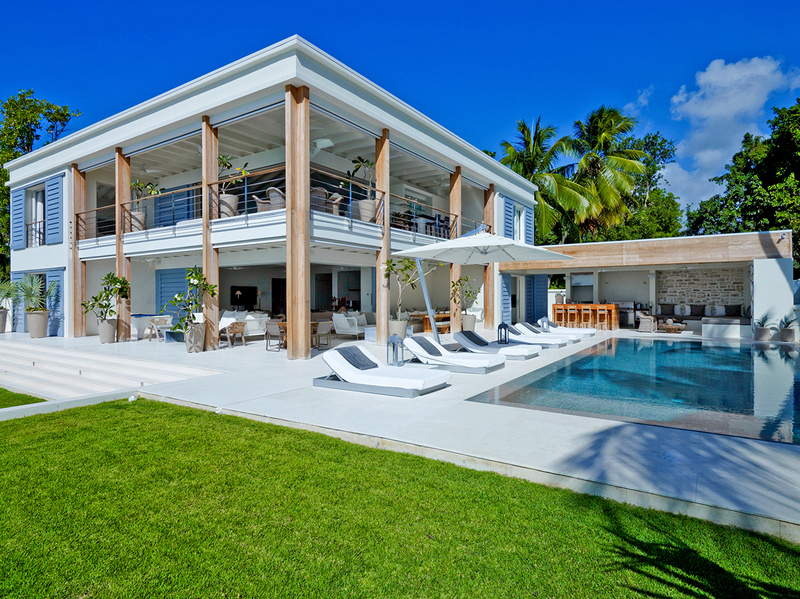 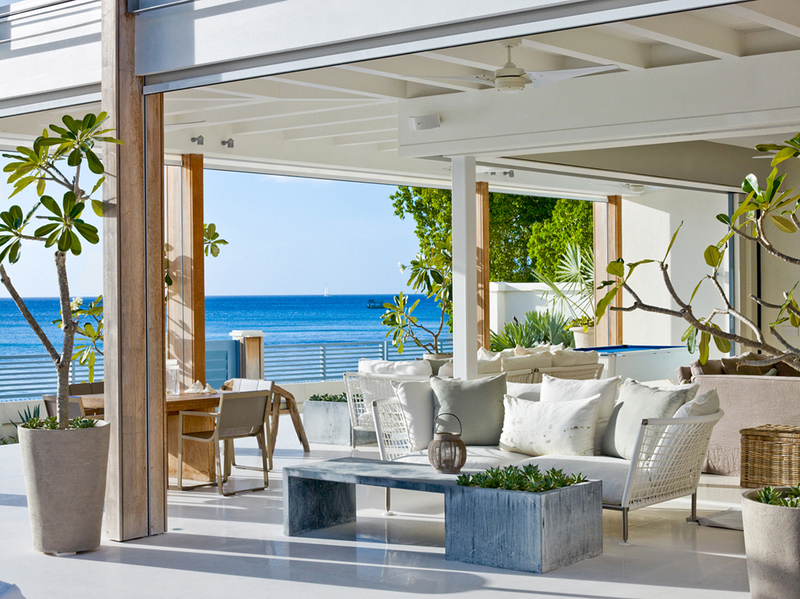 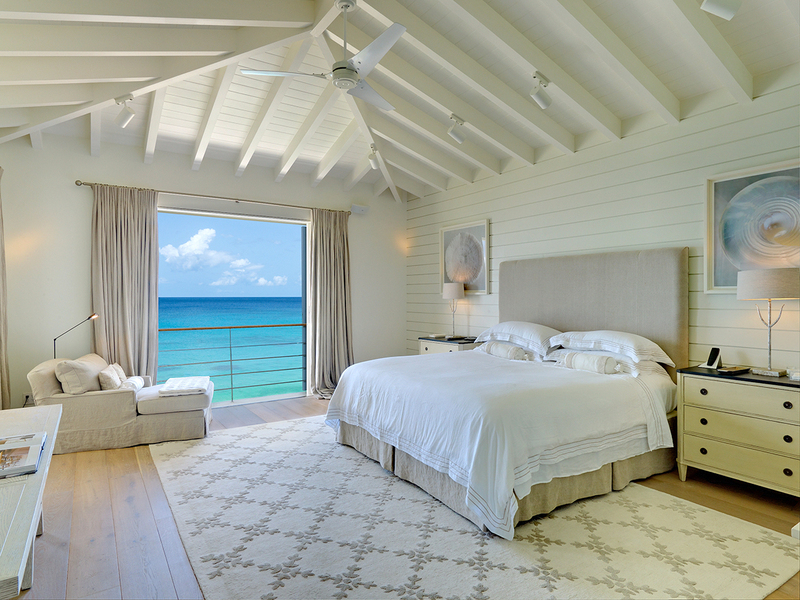 Located in the exclusive neighbourhood of ‘The Garden’ on Barbados’ platinum West Coast this gorgeous beachfront holiday home features contemporary ultra modern design with a blend of Caribbean chic. Designed to encourage outdoor living The Dream has many open plan living spaces and covered terraces, a spacious sundeck and an outdoor BBQ lounge area, all surrounded by gorgeous landscaped gardens, tropical fauna and a spectacular ocean view. 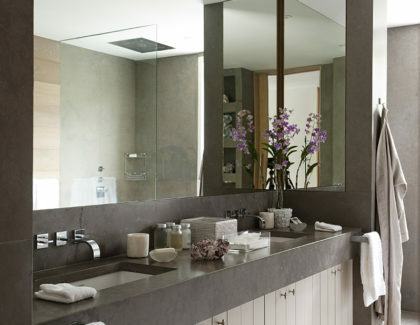 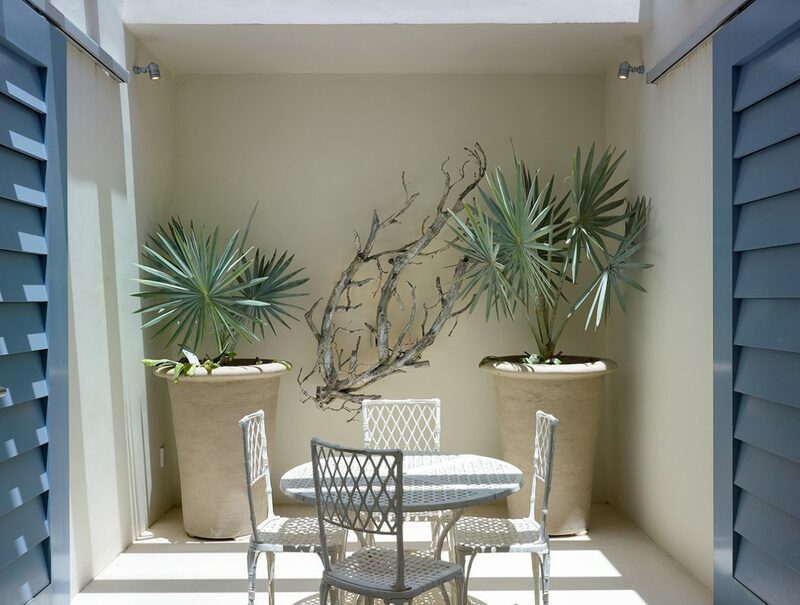 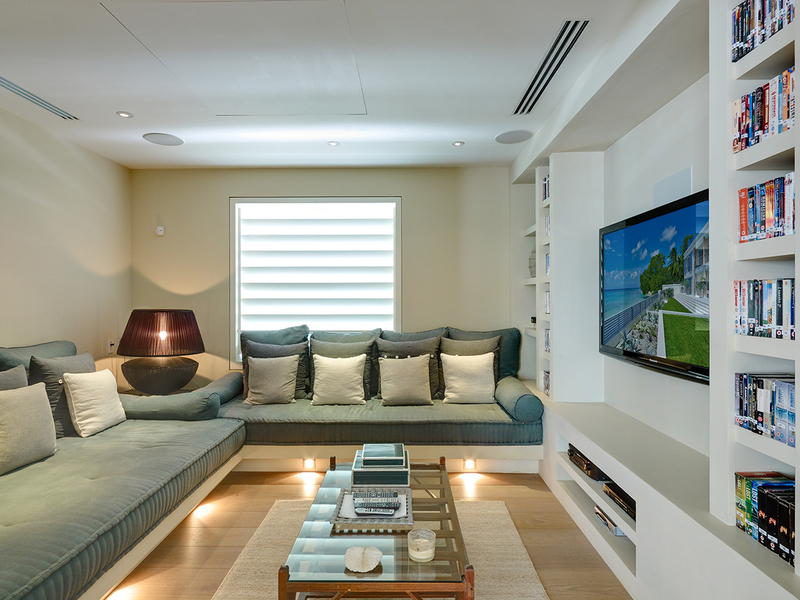 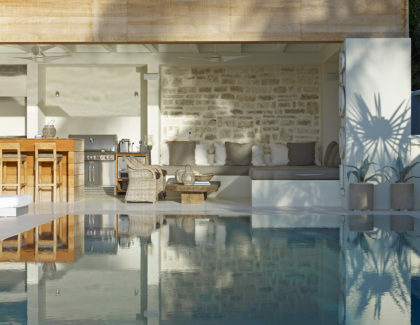 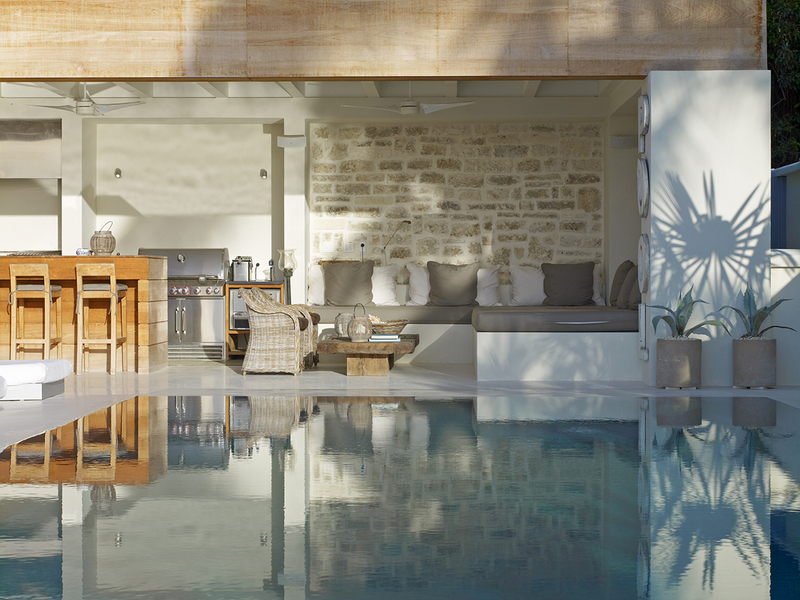 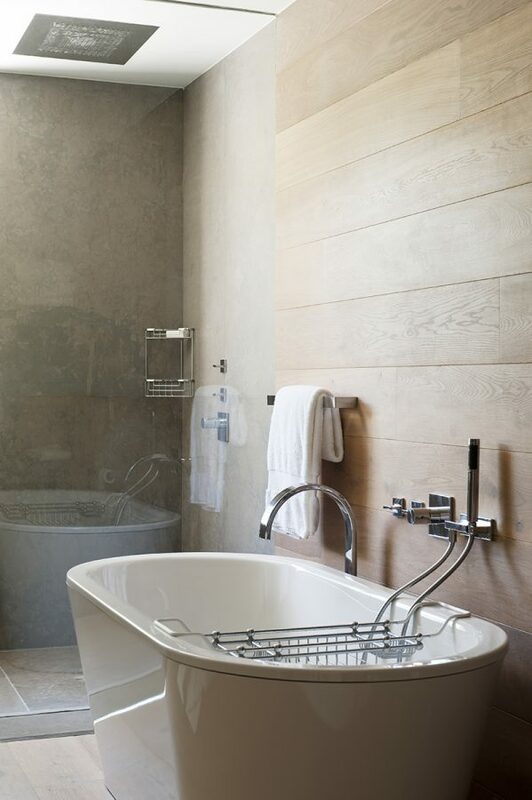 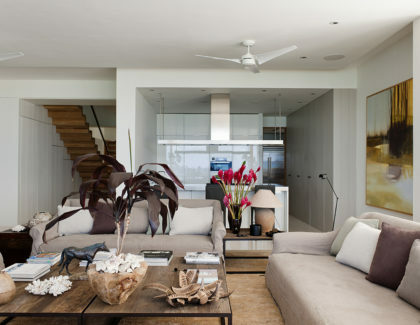 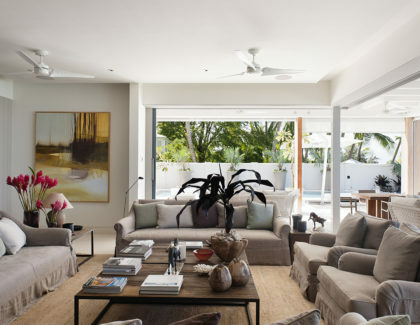 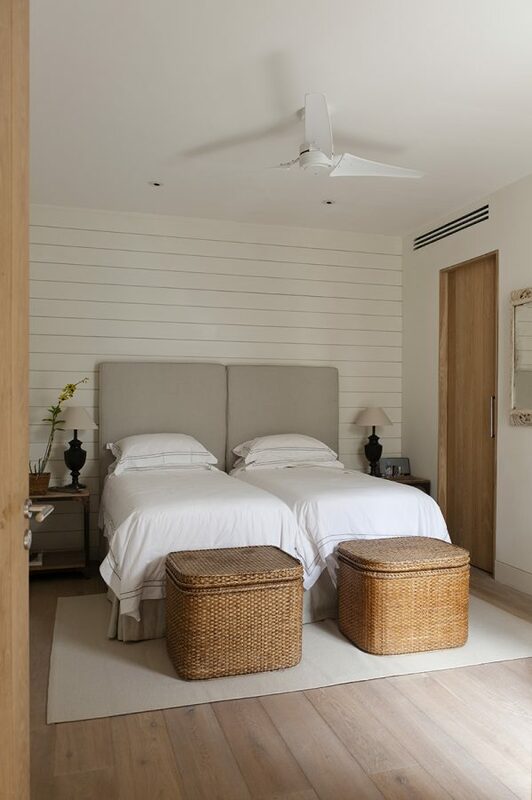 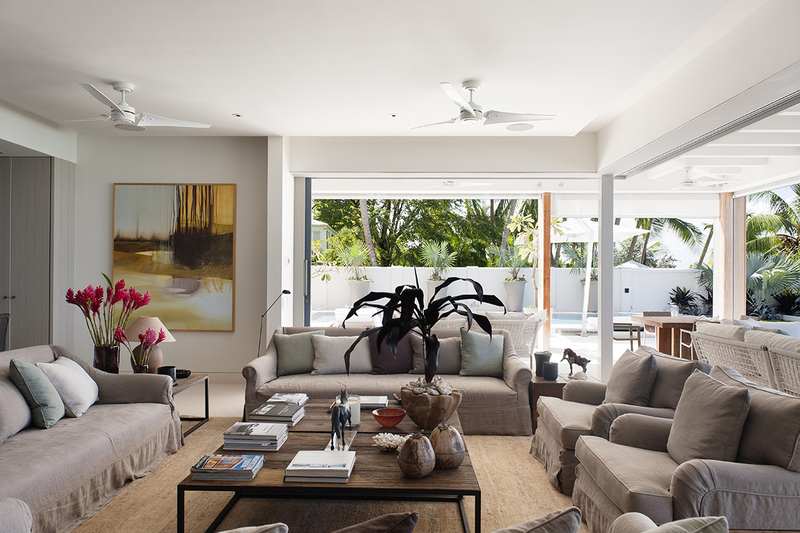 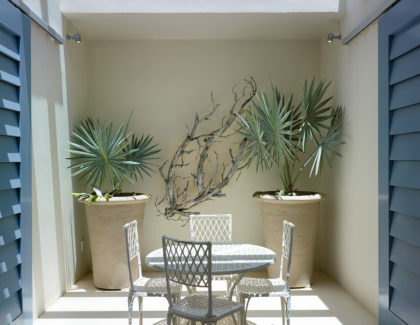 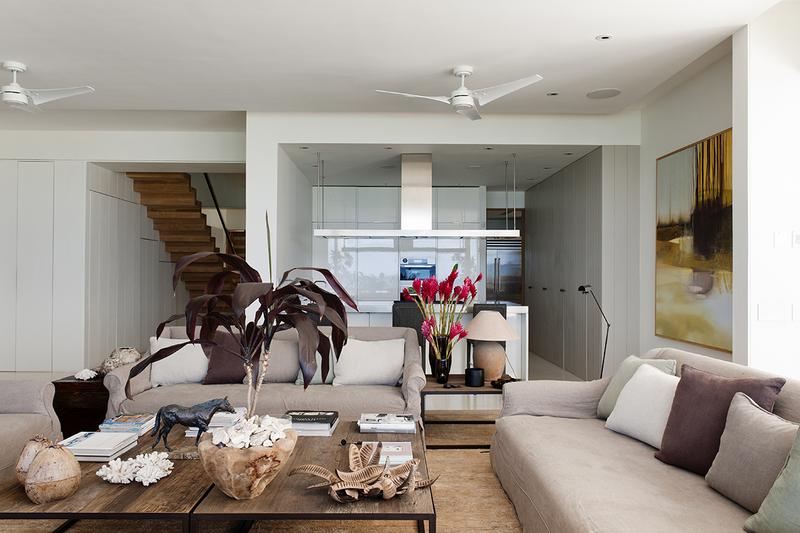 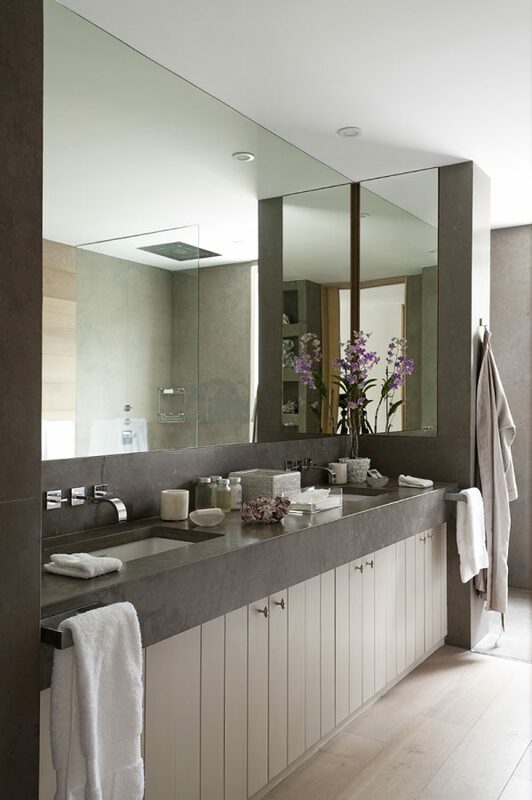 Furnished in a contemporary style the beautiful interiors blend seamlessly with the modern architecture and focus on clean lines, cool neutral hues and tropical indulgence. 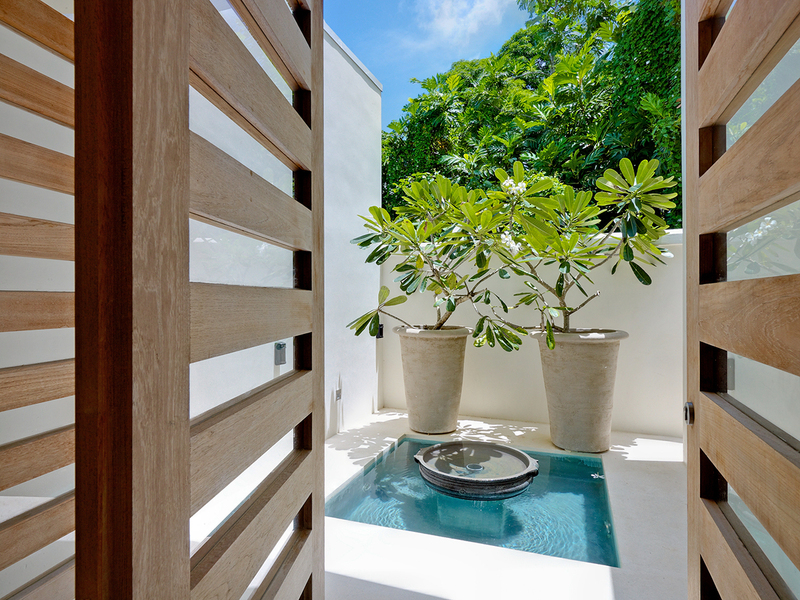 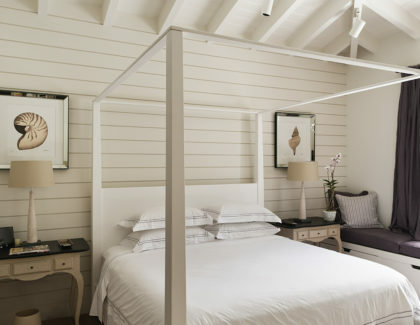 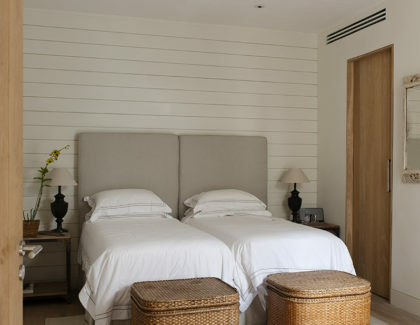 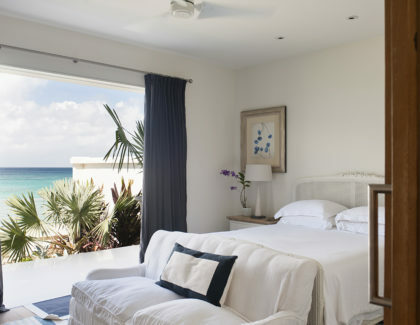 The main floor houses three of the five en suite air-conditioned bedrooms and an open living and dining area that lead directly out to the spacious sundeck with oversized sun loungers. 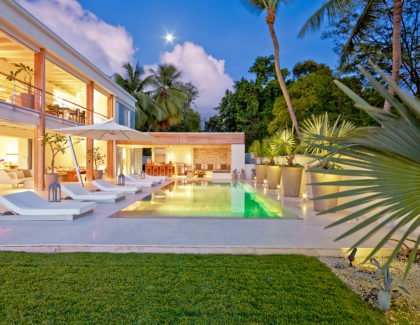 The sleek infinity edge swimming pool overlooks the picture perfect turquoise Caribbean Sea and the impressive outdoor lounge area, complete with BBQ, pizza kiln and bar offers poolside tranquility framed by tropical palms and amazing sunsets. 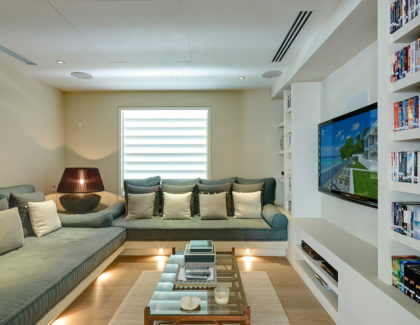 Also featured on the ground floor is a fully air-conditioned media room with 60″ flat screen TV, pool table and an excellent library of contemporary and classical films. 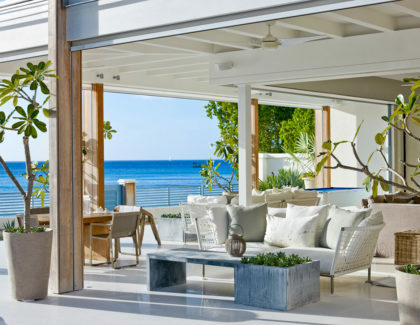 This exclusive beachfront vacation villa is set at the end of a private drive, offering complete tranquility and privacy all within easy reach of the West Coast’s many five star restaurants, chic luxury boutiques, trendy bars and nightclubs and the many world class golf courses on this coast. 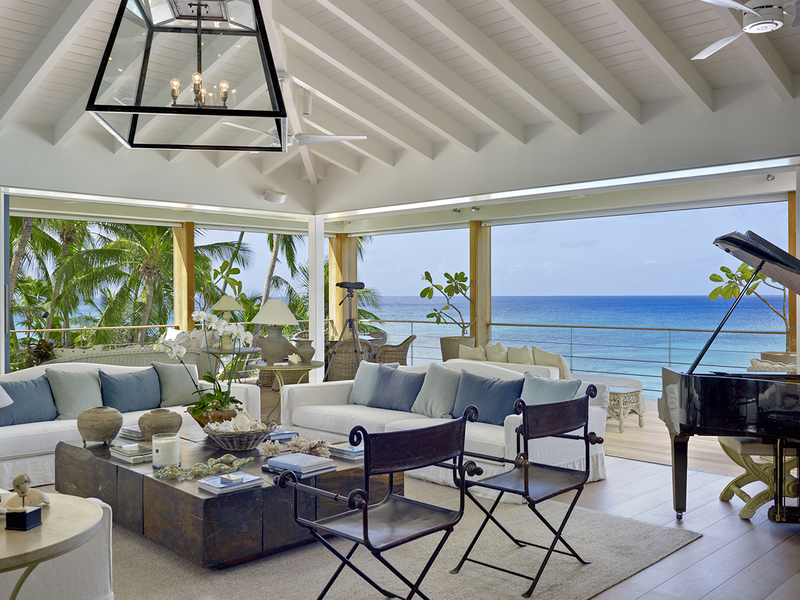 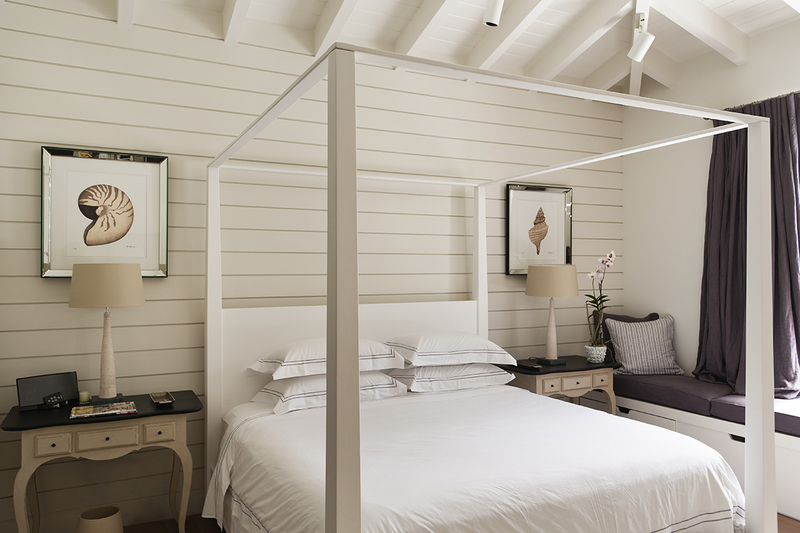 Indulge in island luxury while the friendly experienced staff take care of your every need. 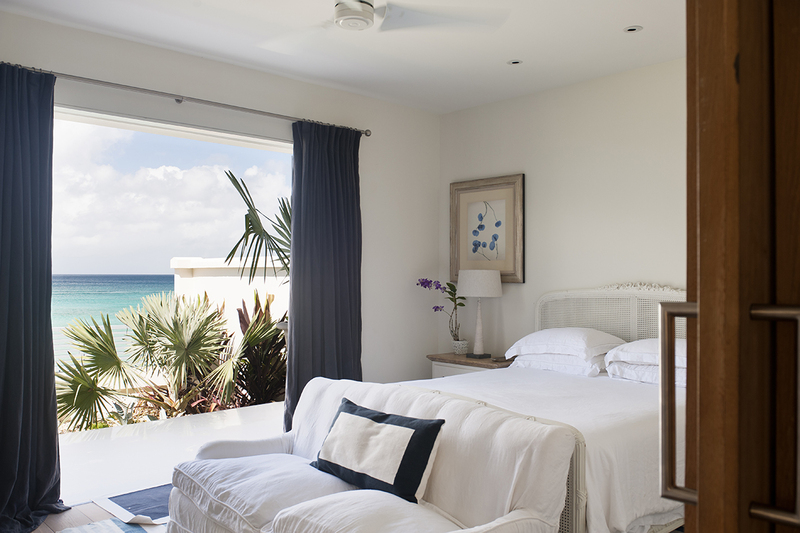 The Dream offers concierge services, a private property manager, two housekeepers, butler, chef and laundress, a night watchman is also available on request.